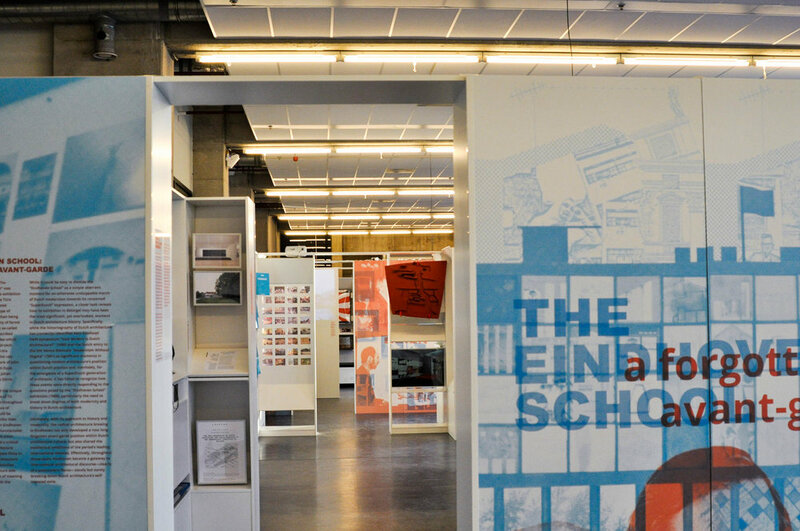 As the exhibition The Eindhoven School: a forgotten avant-garde was installed in TU Eindhoven’s own Plaza Vertigo, it served to confront current architecture students with the atmosphere, attitude, ideals, and work of their predecessors. 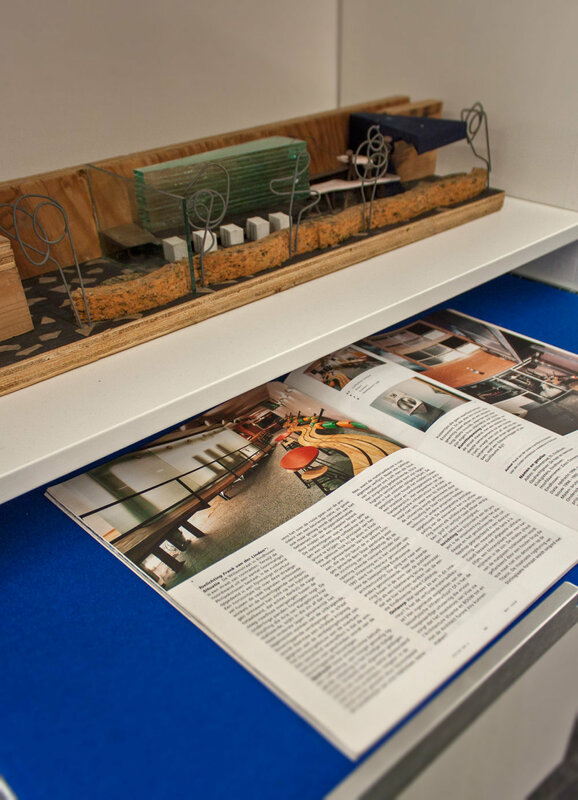 The significance of the historical reflection provided by the exhibition was quickly recognized, as the exhibition was co-opted to participate in the celebrations of the 50 years of TU/e’s Department of the Built Environment. Within the vast hall, the exhibition adopted a free standing, linear format, in which its curatorial narrative was provided by a sequence of five distinct spaces. Each thematic cluster adopted a different spatial configuration, thus also testing the flexibility of the exhibition’s display strategy, from an enclosed room dedicated to TU/e’s chair of Architecture History and Theory, to six free standing, L-shaped walls dedicated to Eindhoven School’s architectural production, that is, leveraging both introverted and extroverted spaces for admiring the presented material. Being the first iteration of the exhibition, its construction was approached in an experimental manner, quickly becoming a very public way of thinking and organizing the presented material, becoming in itself a point of interest to the (mostly) captive audience of TU/e students and staff.